Samsung IS making the Nexus Two, picture inside. For long have I been covering the Nexus Two, what we know for sure right now is that the official release will be in the U.K around Christmas and that Samsung was going to announce something big on November the 8th previously it was mere speculation that Samsung would be making the Nexus Two but now Gizmodo has confirmed that the Nexus ball is indeed in Samsungs court now. Black and Shiny body with glossy plastic finish. 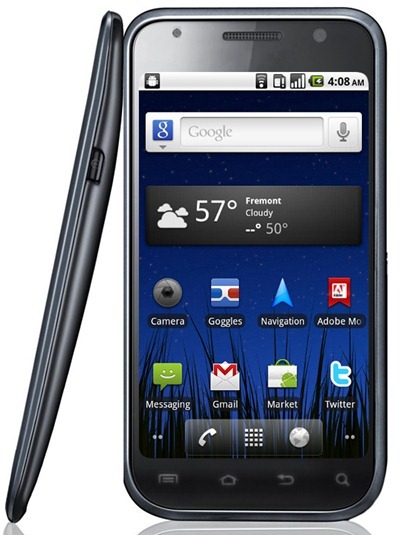 In many ways the Nexus Two DOES looks like the Samsung Galaxy S but let’s see if Samsung can earn the attention which Nexus One did. Nexus One after all is still one of the strongest Android phones out there (Given that your using Froyo with it).